Terrible twos! 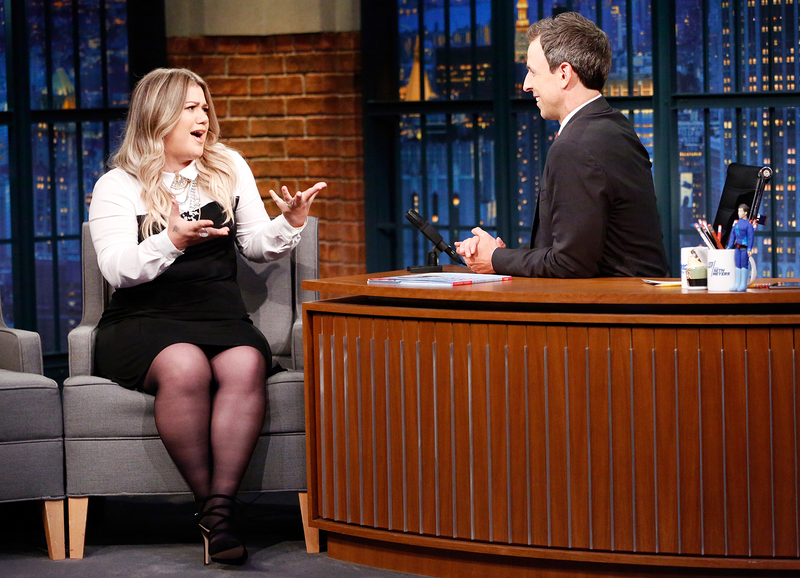 Kelly Clarkson joked about her daughter River Rose&apos;s "diva" behavior and attitude during a new interview on Late Night With Seth Meyers Tuesday, October 4. While discussing her new children&apos;s book, River Rose and the Magical Lullaby, the "Piece by Piece" singer, 34, explained that she decided to write the story after penning a bedtime song for her firstborn. "But when I sing to her now — she&apos;s heard it forever now &apos;cause she&apos;s 2 — she literally will put her hand, like, this close to my face, and she&apos;ll be like, &apos;Sing, sing, sing!" Clarkson explained, putting her hand up against her own face. "I have to sing, like, these three songs every night," she continued. "And she&apos;ll put her hand in my [face], and she&apos;ll be like, &apos;Bye!&apos; … And then she&apos;s like, &apos;Bed!&apos; and I&apos;m like, &apos;OK, I guess you&apos;re done.&apos; … She&apos;s a diva! … I&apos;m pretty sure it&apos;s something to do with genetics." The entertainer, who is also mom of 5-month-old son Remington, released her first picture book earlier this week after signing a deal with HarperCollins in February. Earlier in the day, Clarkson sat down for an interview with Ellen DeGeneres and revealed that she doesn&apos;t want any more kids. "We have four because I married into two," she explained of her relationship with husband Brandon Blackstock, who is dad of Savannah and Seth from a previous marriage. "I already have days where I, like, cry, so we don&apos;t need any more kids. It&apos;s a lot." Late Night With Seth Meyers airs on NBC weeknights at 12:35 a.m. ET.